Take gram flour add 1 1/2 tsp Ghee then add little water and knead well to make tight dough. 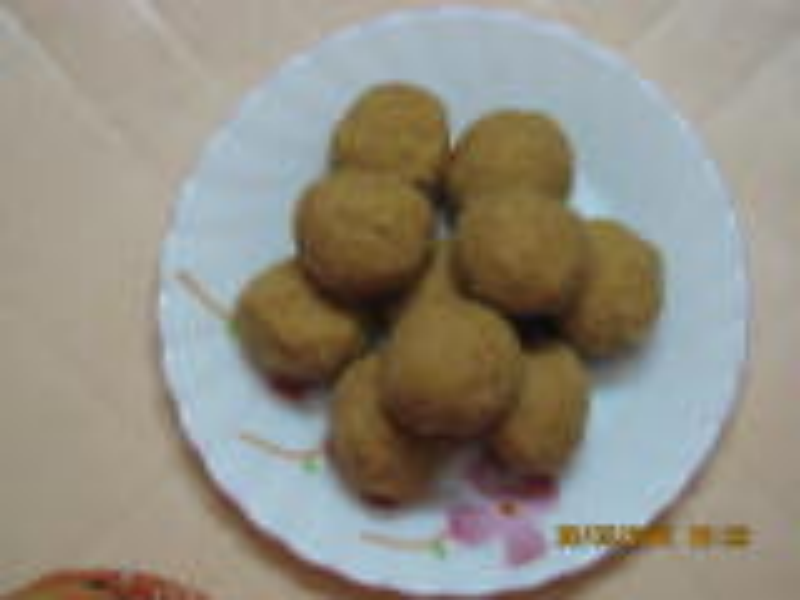 Divide the dough in 5-6 small balls, press those ball and give the shape of peda. Heat oil in a pan and deep fry them in a Low flame till they turn LIGHT golden brown in colour. (Don't make them dark or brown in colour). Then let them cool for 8-10 min. Now break them in pieces and put in a jar and with the help of mixture make powder of them, u will get powder like rawa or suji. now add melted ghee in it , add sugar pdr, cashew pdr, cardamom pdr and mix well. and make ladoos. In air tight container U can store the ladoos for 1 mth.